This Lucid mattress review can be a helpful tool in the decision of which mattress you should invest in. After all, there are many options on the market, and not all are as comfortable as they claim. Is this the one you should buy? Keep reading to learn about the comfort level, design, materials, and craftsmanship that this mattress has to offer. Once you have this information, it will be much easier to decide if it’s the bed that you should sleep on night after night. If you’re ready, then dive right in and learn more about Lucid mattresses right now. → What Materials are Used? → What are the Layers of the Bed? → What are the Comfort Levels? → What are the Features? → Is There Edge Support? → What Surface Should You Use? → Is There a Warranty? → What are the Reviews? → Where Can I Buy? → Will the Mattress Last? → Is There Motion Transfer? → What are the Pros and Cons? Lucid is a company that started with a goal to help people sleep better. In an effort to make sure each individual is given custom sleep, they don’t make just one mattress. Instead, they offer choices that give people the option to find something they genuinely like and enjoy sleeping on. If you don’t want to settle for just one mattress that everyone else gets, then this is the company for you. They have a variety of mattresses that may be just what you’re looking for. Yes! Lucid mattresses have been known to be very comfortable, especially since they have so many positive reviews. Additionally, these mattresses come in a variety of firmness levels, which means you can find which suits your needs the very best. Whether you prefer something more firm or you like squishy and soft, you should be able to find a comfort level that you like when you shop with Lucid. Most buyers end up keeping their beds simply because they are made well and they’re made with your comfort in mind. What are the Layers of the Bed? Due to the fact that Lucid offers several different mattresses, not all are made with the same exact design. Therefore, it’s important to learn about the layers inside to get a better idea of which is right for you. A few examples of the different types of beds that are available can be found below. These beds are made with 10″ of supportive high-density foam at the base. On top of that is 2″ of natural latex foam. On top of this, you’ll find 3″ of memory foam with gel that is ventilated foam followed by 1″ of bamboo charcoal memory foam. These mattresses begin with 7″ of high-density foam that creates a supportive base layer. On top of that is 3″ of ventilated foam, followed by a Tencel cover. This mattress begins with 1″ of support foam at the base. This is followed by 5.5″ of encased steel coils and then another 1″ of support foam. On top of this is 1.5″ of gel memory foam and 1″ of latex foam. This design begins with 1″ of support foam at the base followed by 6.5″ of encased coils. On top of this is 1″ support foam and another 1″ of transition foam. This is followed by 1″ of gel memory foam and 1.5″ latex foam, which is then covered with the brand’s infamous soft cover. This mattress begins with 1″ of support foam below 5.5″ of encased coils. On top of this is 1″ of support foam followed by 1″ of aloe vera transition foam and finally 1.5 bamboo charcoal memory foam. This mattress begins with 10″ of supportive high-density base foam and is followed by 3″ of gel memory foam featuring ventilation. It’s finished with 1″ of bamboo charcoal memory foam and a soft Tencel cover. What are the Comfort Levels? Mattresses that offer firm support include the 6″ gel mattress made with memory foam and the 5″ gel mattress made with memory foam. The mattresses that offer this comfort level include: 10″ memory foam mattress with gel, 8″ memory foam mattress with gel, 10″ latex foam mattress, 10″ latex hybrid mattress, and 12″ latex hybrid mattress. The mattresses that offer this comfort level include: 10″ memory foam (plush), 14″ gel memory foam (plush), 12″ gel memory foam (plush), 12″ bamboo charcoal and aloe vera hybrid mattress, and 12″ bamboo charcoal and aloe vera hybrid mattress. The mattresses that offer this comfort level include the memory foam mattress (plush) and the natural latex memory foam mattress. The features of the different types of mattresses that are offered by Lucid can be found below. It’s important to consider each of these in order to determine which will adapt to your body the best. This mattress is designed to offer a cozy feel with a supportive base. However, the ventilated gel won’t allow heat to build up, which means it’s much easier sleep on this without sweat building up throughout the night. If you like the feel of memory foam but don’t want to sink into your bed too much, this is a great choice. The latex helps you spring back up so you can get up more easily in the morning. It’s also got a lot of support, so it’s universally comfortable for all types of sleepers. This infusion of both latex and memory foam offers a very soft yet supportive mattress. It contours to the shape of your body and gives you a hug as you sleep. However, the latex keeps you from sinking down and the steel coils within help keep the motion of everyone else on the bed isolated. Most of the mattresses offered by this brand offer pretty solid edge support, which can help keep you comfortable anywhere you sleep on the bed. However, this support will vary based on which individual mattress you purchase and what it’s made out of. Most buyers have stated that the edge support in this brand is better than others, which is a big advantage over others. What Surface Should You Use? You can use Lucid mattresses with any surface, which means you aren’t required to buy an expensive base (unless you want one). Whether you prefer the traditional box spring or you have simple slats on a platform bed, you can place your Lucid mattress right over it. It can also be used on metal grid beds, slatted bases, and adjustable bases. This flexibility can help give you a lot more options when you’re searching for the perfect bed to place your mattress on top of. You can return your purchase within 30-days. To do so, you’ll simply need to call the customer service number to get the process started. This is a shorter return period than most other brands, although it should be enough time for you to determine whether or not you enjoy your mattress. Lucid’s warranty used to be 25-years, but they have recently dropped it back to 20-years, instead. Still, this is a very long warranty period, which should outlast the length of time you actually keep the bed. If you need to make a claim on your warranty, then you simply need to contact customer support. Lucid mattresses have pretty good reviews from buyers, with an over 70% satisfaction rating. When you consider the price and materials compared to higher-end models, this makes Lucid an even better choice. Many reviewers love the fact that they are able to choose between so many different options and that they can sleep comfortably all night long. The different comfort levels also helps ensure better sleep at night, especially for those who prefer firm or plush. Since Lucid mattresses are made with high-quality materials and in designs that leave no detail behind, they should last. However, since the company has only been in business since 2016, it’s difficult to say what the actual longevity of the bed will be. Since you are given a warranty with your purchase, this can offer peace of mind knowing you’re covered in the event of any defects. If you’re worried about feeling someone who tosses and turns throughout the night, , then the memory foam mattresses from Lucid are likely to be the best choices. These transfer very little motion, especially since their layers are so thick. However, because the steel springs in the other mattresses from this brand are covered, they have pretty decent motion isolation as well. Just like with any other mattress brand, you’re going to have advantages and drawbacks. Fortunately, with Lucid, these are easy to point out. What’s even better is that there are many more pros than cons, which can make it easy to make your investment. 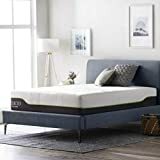 If you’re looking for a more in-depth Lucid mattress review when it comes to pros and cons, take a look at those below. The hybrid mattresses from Lucid do not retain much heat throughout the night. Most mattress brands do not have as many options as Lucid does. However, just because they offer many options doesn’t mean they are low quality. Each mattress is designed beautifully. Most owners say that edge support is pretty decent, especially on the hybrid latex models of beds. These mattresses are well-made with thick layers so they are very quiet. You won’t hear a lot of creaks when you’re moving or getting into bed at night. Lucid mattresses are much more affordable than many others on the market today.It also certipur – Us certified. If you choose a mattress made only with memory foam, you may find that these retain heat quite easily. Most owners do say that these mattresses have a chemical smell after being unwrapped. This company hasn’t been around long, so the longevity of the beds is not yet known. If you’re reading this Lucid mattress review wondering whether or not you should buy it, the answer lies within your individual preferences. This has almost every quality that most shoppers are looking for, so it should fit your needs quite well. From a varied of materials to different comfort levels, it’s an excellent mattress that is well worth considering. Keep in mind that you will also have a trial for 30-days, which can allow you to test out the bed to determine if it’s really for you. With that, this is definitely a solid choice that’s well within budget for most shoppers.